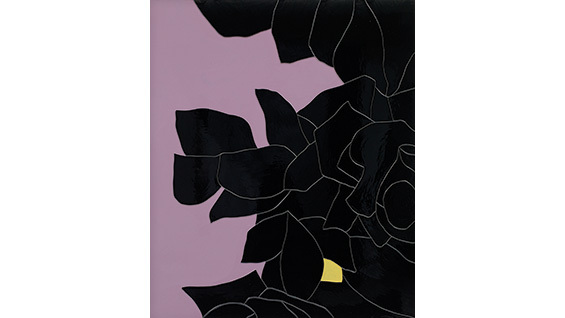 'Black Flower 3' (2014). 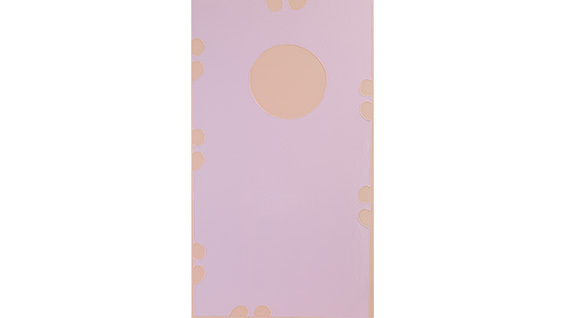 Gary Hume. Photo: Jack Hems courtesy of Blackbird Pictures Ltd.
On Wednesday, May 13, internationally renowned British artist Gary Hume will deliver The Cooper Union School of Art’s Spring 2015 Alex Katz Chair in Painting lecture. He will discuss his latest works. A graduate of Goldsmith’s College, London in 1988, Gary Hume is known for brightly colored figurative and abstract paintings made on aluminum panels. 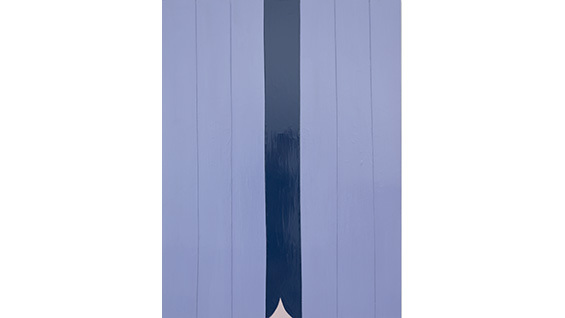 Part of the Young British Artists (or YBA) movement, which helped revitalize Britain’s contemporary art scene in the 1990s with a boundary-breaking approach to making art, Hume first gained critical acclaim for his Door paintings that were inspired by large institutional doors. Hume was nominated for the Turner Prize in 1996, represented Great Britain at the 1999 Venice Biennale with his Water series, and elected to the Royal Academy in 2001. His work has been featured in solo exhibitions at Tate Britain, London (2013); Pinchuk Art Center, Kiev (2012); Modern Art Oxford, UK (2008); and many more. He was born in Kent, UK and currently lives and works in London and New York. The lecture will begin at 6:30 pm in the Rose Auditorium. The event is free and open to the public.